Everything has gone smaller, computers, laptops and other gadgets, but this is insane. Meet the new Lenovo Yoga 3 Pro. What about getting yourself a ultra-light hybrid notebook which is just 12.8 mm think and measures below 1 kg? If you are a busy guy and work on the move than you should definitely go for the new Lenovo Yoga 3 Pro, which was launched in Lenovo’s event at London. 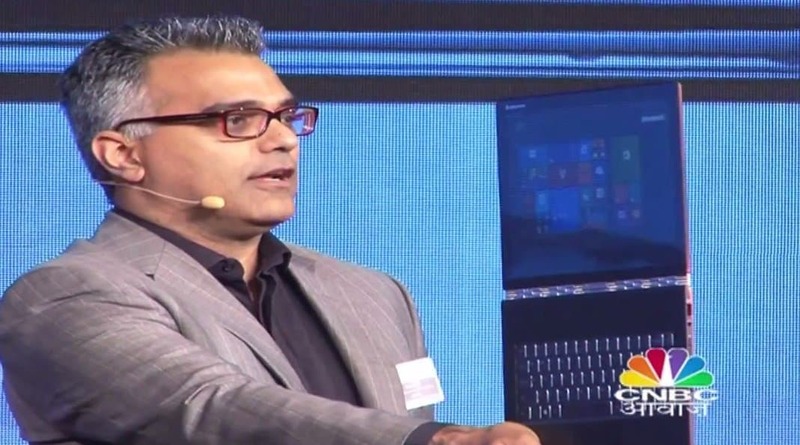 Dilip Bhatiya, VP (Marketing and Design), Lenovo revealed this awesome looking hybrid notebook and with that, Lenovo got the title of making the slimmest and lightest hybrid notebook. 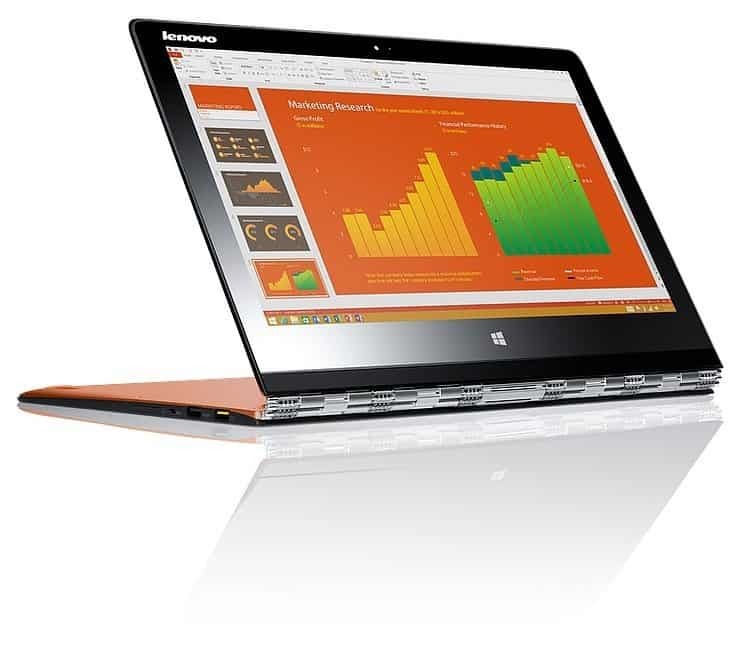 Lenovo Yoga 3 Pro is 17% slimmer and 14% lighter than the Lenovo Yoga 2 Pro. 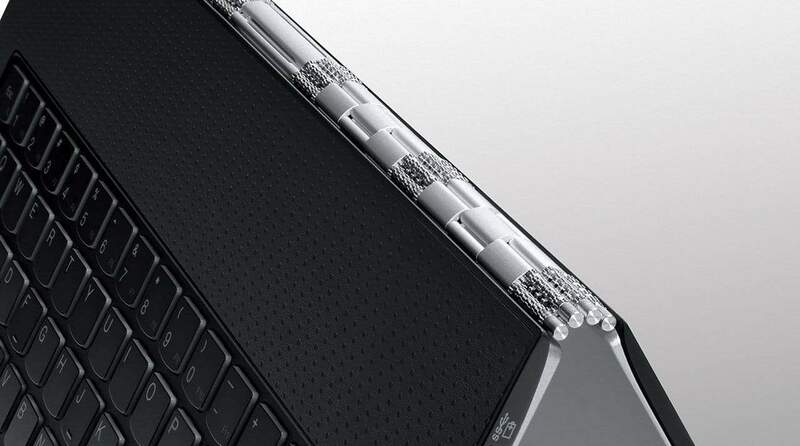 The Yoga 3 Pro has the 13.3″ same QHD+ (3200×1800 resolution) display from its predecessor, but it now connects to the keyboard, which is called “watchband hinge” that is composed of 800 pieces of steel and aluminum, and built-in a custom way by connecting all the pieces by hand. This watchband hinge enables the Lenovo Yoga 3 Pro to retain its durability and at the same it, it gives the freedom of rotation by 360 degrees, and that means that the Lenovo Yoga 3 Pro continues its ability to function in Laptop, Stand, Tent, and Tablet modes depending on in what kind of position you are using it. Talking about the technical specifications, Lenovo Yoga 3 Pro runs on Intel M-70 processor which is meant for high-end performance, and the main feature of this processor is that it doesn’t get hot easily. So, Lenovo didn’t need to add a cooling fan in the Lenovo Yoga 3 Pro and hence, the result? Slimmer design. Though, there is a pretty sufficient amount of RAM, 8GB, which has been provided in Yoga 3 Pro. One more thing, Lenovo did with the hybrid ultrabook is that they bid goodbye to HDD and used a 512 SSD, which means, no moving parts and lesser heat, which ultimately helped in slicing of the thickness of the ultrabook. The Lenovo Yoga 3 Pro will run Windows 8.1 Pro right out of the box, and for entertainment there is JBL Audio. Connectivity options include Wi-Fi, bluetooth, card reader and Mini HDMI port. The laptop has a whooping battery life of upto 9 hours. Though it has been launched in the US and the UK, Dilip Bhatiya stated that it is expected to arrive in the Indian market by the end of this year. Now, talking about the price, there is no official words about its price in India, but as I asked Abhishek Telang, who attended the event at London, he tweeted back that it will cost 1499 EUR. S you can expect it to come like 1.2 lacs, though I guess the price will be a little higher when taxes and custom duties are added to it. If you want to know the detailed specifications of Lenovo Yoga 3 Pro, you can find it below. Also there will be some bundles softwares and utilities installed in Lenovo Yoga 3 Pro, which we have listed below.